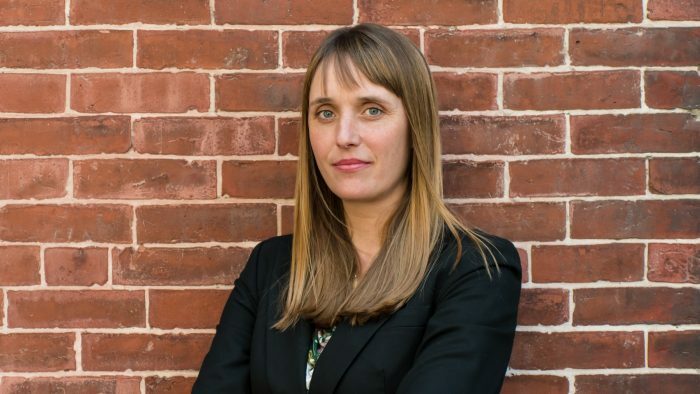 Nicole Aschoff is a writer, a sociologist, and an editor at Jacobin magazine. Her articles, covering a wide range of topics, from feminism to green capitalism, to public education and therapy culture, have appeared in outlets such as The Guardian, The Nation, Dissent, openDemocracy, Al Jazeera, and Dollars and Sense. Her latest book, The New Prophets of Capital (2015, Verso), examines the pervasive feeling that capitalism is leading us in the wrong direction and argues that it’s time for ideas that challenge the core assumptions of our for-profit system. Nicole is currently working on a forthcoming book on the topic of smartphones and modern capitalism. For more information, visit her website: nicoleaschoff.com. My thinking has evolved as I have taken on new projects and explored new topics. For example, spending time at Jacobin magazine helped me to recognize the conceptual shortcuts that academic language often facilitates. In the time since I’ve ruthlessly tried to eliminate jargon from my writing and as a result have become much more selective about the concepts I use to describe the world. My current project—a forthcoming book on smartphones and modern capitalism—has also pushed my thinking into new directions. Examining all the things we do on our phones, and how these new norms and behaviors have been incorporated into new forms of profit making, has pushed me to unpack my assumptions about concepts I’ve always treated somewhat matter-of-factly. For example, lately I’ve been digging deeper into what constitutes work, and how ideas about work and the structure of labor markets shape one another. In The New Prophets of Capital you portray Sheryl Sandberg, John Mackey, Oprah Winfrey and Bill and Melinda Gates as ‘prophets of capital’ who buttress capitalism by masquerading as progressive thinkers. What makes the stories of these prophets so influential amongst the wider population? Three things: First, the storytellers themselves are quite compelling. Each of the prophets is highly intelligent and successful, and their worldview seems inseparable from that success. Their lives appear to demonstrate the truth of the stories they tell, whether it is faith in the power of markets, of ‘leaning in,’ or following a righteous path of self-discovery. Second, the stories that Sandberg, Mackey, Winfrey, and the Gates tell are about topics most of us care about. People are attuned to and deeply concerned about poverty, inequality, environmental degradation, oppression, and alienation. At the same time, the fact that these wealthy, successful prophets care about these social problems legitimizes them as valid objects of concern, reinforcing both the stories and the power of the tellers. Finally, the stories—and the solutions embedded within them—seem achievable within the current political, social, and economic framework of global capitalism. This is key. The problems society faces today seem overwhelming, but the prophets I discuss in the book promise us that we can fix them, often by simply making different choices in life: buying different things, thinking positive, working harder, being more assertive. Simple, individual solutions are deeply appealing, but also I argue ultimately self-defeating. To be clear, I’m not arguing that people passively or uncritically believe the stories they hear from powerful people. But at the same time, it’s important to recognize that their ideological role is often obscured. The stories told by powerful figures like Oprah and the Gates are part of the legitimating framework of ideas that undergirds modern society—they reflect the common narratives, beliefs, and values that structure and reproduce capitalism. Notably the four ‘prophets’ you focus on are all US citizens. Does this reflect the position of the US in the world order, or is it simply due to the limited scope of the book? Do the stories of these prophets also have an impact in countries of the Global South? To answer the first part of your question: Both, but mostly the latter. New Prophets is meant to be a short, introductory book for Americans newly interested in thinking about social problems and capitalism, but the general framework is certainly applicable outside the United States. Capitalism looks and feels a bit different across space and time, but it is inherently a way of organizing society that must be embedded in existing norms and culture, whatever they may be. Profit making in and of itself is not a compelling enough narrative for organizing society. Capitalism everywhere needs stories and storytellers to justify its existence. That said, US culture and ideas—the country’s ‘soft power’—have outsized reach and influence globally. People like the Gates have the power to make people listen to their stories and implement their worldview. So to answer the second part of your question, these stories definitely have an impact on the Global South, and not just in shaping dominant narratives about poverty and inequality, and what to do about it. For example, the Gates stories about how people are poor or sick because they are not paying customers get translated into policy plans to commodify agriculture and healthcare that are supported by the United Nations and the World Health Organization and enacted by powerful and unaccountable NGOs. Are ‘prophets’ also important for movements of the left which are seeking to challenge capitalism? If so, who do you think is effectively occupying this role, and what can they do to prevent critiques of the status quo from becoming absorbed or displaced? Stories are important. They explore and popularize new ideas, expectations, and demands that are often critical of capitalism and the status quo. This is a good thing. But we should resist idolizing leftist ‘prophets.’ Stories don’t need to come from a few charismatic storytellers; indeed, it is much better if they come from many individuals, or from organizations and social movements struggling to effect positive social change. It’s human nature to rally around captivating individuals who have a compelling vision for a better world, but it’s not a good strategy in the long run. Historically the most powerful social movements have incorporated many voices and many worldviews. Of course we can’t deny the appeal of figures like Bernie Sanders and Jeremy Corbyn in the present moment. These guys are telling stories that challenge the decades-old mantra that “there is no alternative.” Yet, neither Sanders nor Corbyn rose up from a social movement; instead, a loose social movement, or constellation of ideas, has coalesced around each man. The difference is important. For their ideas to become a force that challenges prevailing common sense in a concrete way social movements need to take ownership of these stories and make them part of an on-the-ground struggle in workplaces, schools, and communities to put people before profit. Since its founding in 2011, Jacobin magazine has rapidly grown its readership and impact. As an active member of the Editorial Board and frequent contributor, what do you think lies behind this success? Jacobin’s success is partly a result of being in the right place at the right time. The successes and failures of Occupy, following on the heels of the global financial crisis, sparked a renewed interest amongst younger people in questions of political economy, capitalism, and inequality. In the long lull after the alter-globalization movement, at least in the United States, the chattering classes became comfortable in the assumption that younger people had no interest in these questions. The success of Jacobin, with its earnest, sometimes snarky, middle-brow approach, belies this notion. Of course Jacobin’s success also rests on how hard its design and editorial teams work and their belief in the overarching project—in this way it’s very similar to any other successful publication. What are the prospects for socialism in the US during the age of Trump? Will the imperative to remove Trump from the White House draw energy and resources away from campaigns which are focused on long-term socialist goals? The prospects for a progressive anti-capitalist movement are improving but we have a long way to go before socialism is on the horizon. Part of the challenge is certainly, as you suggest, the prevailing preoccupation with all things Trump. A large part of the progressive left seems perpetually stuck in reaction spirals to the awful things Trump says, or says he’s going to do, instead of working on a ‘big tent’ left project focused on building the solidarity, power, and voice of ordinary people. But this is only part of the problem. The bigger challenge lies in the simple fact that the organizations, networks, and ideas that once linked working people to one another have been decimated in the United States over the past three decades. Right now we face the task of rebuilding those things, yet there is no sense of urgency to do so. There are exceptions of course—the Movement for Black Lives and the Democratic Socialists of America—but many progressives are still hoping that the Democratic Party will sort of wake up, step in, and fix things. Building a movement that challenges the for-profit architecture of our society will require moving beyond this understandable, but mistaken, belief. You have a background as a sociologist, but have left academia to become a writer. Do you think that academics struggle to convey their ideas to a general audience, and if so, what can intellectuals of the left who are seeking to connect with working class movements do to improve in this regard? I left academia to become a writer but I’ve never considered the door back to be completely closed; in my mind I’ll end up back in academia at some point. I couldn’t imagine being a writer without the training and knowledge I received in grad school, post-doc, and the years I spent teaching. I think it is really important to bring a deep level of expertise to popular writing; people are hungry for new ideas and ways of thinking, but for those ideas to be productive they have to be theoretically and empirically grounded. Most popular writing is a mix of commentary, opinion, and anecdote topped with a light sprinkling of data. I think in this political moment when popular stories about politics, jobs, technology, geopolitics, and the economy are designed to frighten more than inform there is a need for more academics to bring their critical thinking skills and knowledge base to lay readers. That said, writing for a popular audience is challenging. A huge part of my life as managing editor of Jacobin was spent working with academics—helping them find to their popular ‘voice’ and craft stories that were both compelling and educational. I didn’t always succeed, but I often did, and many of those pieces had a big impact. So I think the takeaway for academics interested in connecting with a non-academic audience—particularly working class movements and younger activists—is that people are interested in what you have to say and there is a need for your expertise. You just need to take the initiative to reach out to publications and be willing to approach storytelling a bit differently than you’re used to. The late Giovanni Arrighi, who was your doctoral advisor, passed away in 2009. What impact did Arrighi have on your way of thinking, and what do you hope his legacy will be? Giovanni was an intellectual force. As his student, I internalized his modus operandi: His method was rigorous, critical appraisal of all research questions and arguments. He never bothered with trivial critiques—he built up models and worldviews to their strongest form before mercilessly dismantling them. Most importantly, he was analytically bold. He never shied away from tackling big, thorny questions. Instead of paddling around in the easy shallows of description he ventured out into deep waters, fearlessly modelling complex, world-scale processes. When I write or plan a project, I still hear his voice demanding evidence for my assertions and imploring me to be analytically bold. Giovanni’s scholarship was inseparable from his pedagogy. Coming from a working-class family that prized practical knowledge, graduate school felt a bit like landing on Mars. Giovanni was one of the people who made me feel like I belonged in the world of ideas—that my perspectives were valuable and that with hard work and discipline I could make a real contribution. So in addition to a large and important body of work, I think Giovanni leaves behind a model of kind, generous mentorship. What is the most important advice you could give to young writers who are looking to engage with socioeconomic and political issues? Young people are often told to be passionate, be bold, to do what you love! I don’t think this is necessarily bad advice but I would also urge young scholars to find a place in which to be these things—a (well-funded) graduate program, a magazine, a think-tank. I think a supportive, nurturing environment that provides a livelihood, a community, and a workspace is central to sustaining oneself as scholar. This interview was conducted by Laurence Goodchild. Laurence is Deputy Features Editor at E-IR.